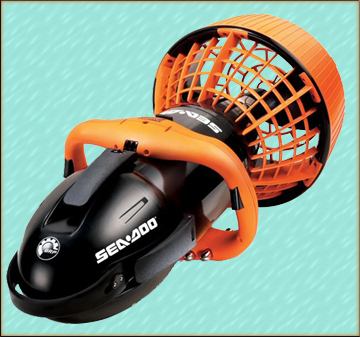 The Seascooter VS Supercharged from Sea-Doo is the ultimate Dive Propulsion vehicle, built around portability and performance. The VS Supercharged delivers two levels of thrust for a speed of up to 3mph/4.8km/h down to 100ft/30m. You save air, stay down longer and get more fun out of diving. Other features include waterproof circuitry for protection against accidental flooding, adjustable buoyancy, a battery life of 1.5 hours under normal use, and weighs just 18lbs/8.4kg including battery. 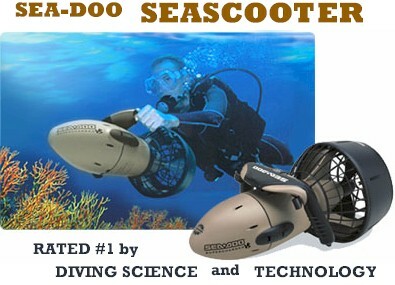 The Sea Scooter by Sea-Doo is the most revolutionary Personal Underwater Propeller designed, engineered by Sir Clive Sinclair, the inventor of the first PC. Features include a rechargeable battery with a run time of 1 hour under normal use, a thrust of up to 2mph/3.2km/h at a depth of up to 65ft/20m, and weighs just 11lbs/5.0kg. Comes with a carry bag. Tow comfortably behind your boat to scout more bottom in less time. 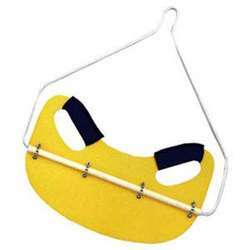 The pivoting heavy duty plane board allows you to dive or surface with the flick of a wrist. Heavy duty aluminum & plastic construction for years of service. Come Experience Triple Speeds and Performance with the Professional SEA-DOOÂ® SEASCOOTERâ„¢ EXPLORER, the latest in its series. â€¢Engineered to withstand the toughest environment for recreational and professional divers. â€¢Improved safety features: water protection, low battery voltage protection, over current protection, high temperature protection, audible alert when water ingress, safety lock and auto shut off function. â€¢Digital cable-less battery changing system.